Congrats World Junior Wushu Champions! Congratulations to all seven champions from Wayland Li Martial Arts Centre that competed in the 7th World Junior Wushu Championships in Brazil! It has been a long road of training and we are so proud of each of you. Great job representing Team Canada! A special mention goes out to Adam Shaltout for winning a bronze medal in Group C Gunshu, and Kai-Hsin Chang for winning a bronze medal in Group C Daoshu. Your achievements inspire us! Good luck at Worlds in Brazil! Good luck to Rex, Rasa, Erica, Caleb, Zeina, Adam and Kai-Hsin. Here is the promotional video introducing the event, compiled by the IWUF and Brazil's wushu organization. 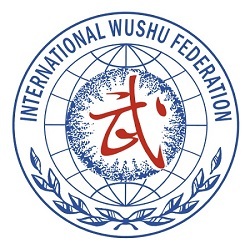 More information can be found on the competition's website (https://www.7thwjwc.com/), including a schedule of events and results for the Taolu and Sanda events. Good luck to Team Canada and jia you! 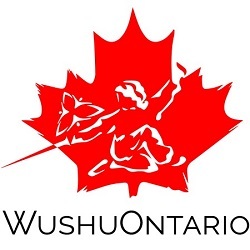 Canada's national Wushu competition will take place on May 20-21, 2017 at the Markham Pan Am Centre. This year's event will feature athletes competing in traditional taolu events, contemporary taolu events, Sanda sparring events and qualifying trials for the Senior National team. The 11th Pan-American Wushu Championships (PAWC) was held in Lubbock, Texas and 10 athletes from Wayland Li represented Canada. Congratulations Erica, Zeina, Rex, Stanley, Amanda, Julia, Adam, Louis, Kai-Hsin and Caleb. Together our athletes took home 3 gold medals, 6 silver and 3 bronze. Superb! 0325 活在五點 武術(國). WOW TV interview following our participation in the 5th World Junior Wushu Championships. Congratulations to all of our students that participated at this year's Nationals! And great job by Erica, Terence, Nima and Julia for making the National Junior Wushu Team. Congratulations to Nima, Terence, Erica and Julia on being selected for Team Canada and participating in the 5th Worlds in Turkey. We are proud of your results!